The rains are here and this time sooner than expected. We all enjoy getting drenched in the rain and then stuffing hot bhajiyas with a sip of kadak chai to keep the monsoon mood going. The wet mud, on the other hand, can make things a lil difficult. Especially, with all the dirt on our shoes that get invited home. Nobody likes their shoes to be caked with mud. Especially, with shoes that are not water-proof. Cleaning them can a bit difficult. So, here are some tips that will help you protect your shoes and make you curse the rains a little lesser. Let the wet mud dry. Once the mud is dried, it becomes easier to remove. 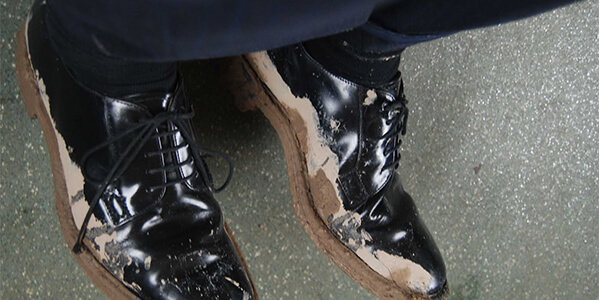 Scrape the mud off the shoes using a stiff scrub brush or a toothbrush. Rub or clean off as much dirt as possible with a cloth. Follow up with a thorough cleaning. Use the cleaning procedures given below for specific type of shoes. For sports shoes: Remove the insoles and shoe laces. Mix a mugful of warm water and laundry detergent. 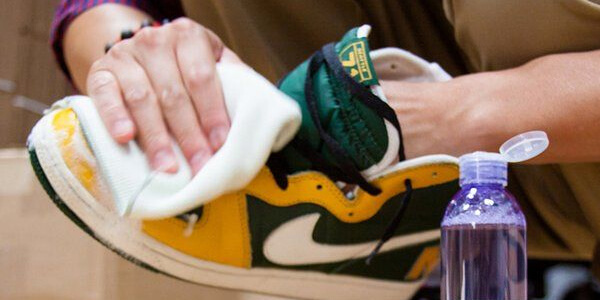 Use a sponge to scrub the shoes. Wash the shoes with water and air dry it. For leather shoes/boots: Take off the shoe lace. Use a shoe polish brush to brush off the dirt and debris. Lather saddle soap or any other leather cleaner on both the shoes. Use a mild dishwashing detergent for finished leather. Use a soft, damp cloth to wipe off the excess soap. Condition the leather using a leather conditioner and air dry it later. 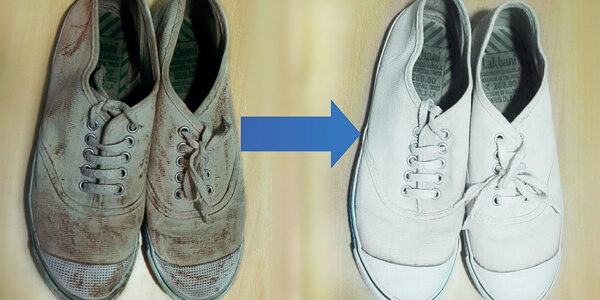 For canvas shoes: Canvas shoes can be washed in the washing machine. Pre-treat any stains, if present. Set the washing machine to a gentle cycle with cold water. Add detergent as usual. Air dry the shoes once the cycle is finished. 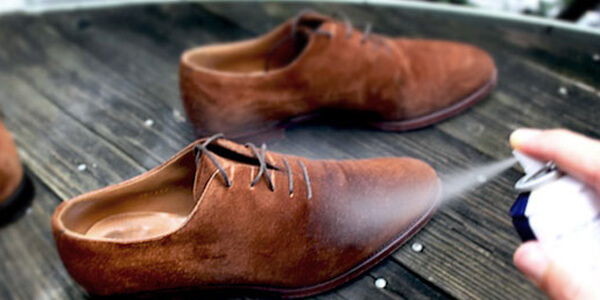 For wet suede shoes: Do not dry the shoes in sunlight or next to a heater. Stuff newspapers or tissues inside the shoes to soak the excess water and let it air dry. Brush off the dirt using a nylon brush. This will remove the grime as well. Use an eraser on stubborn marks. You can use vinegar or rubbing alcohol if the stains are too hard to remove. Protect your shoe with a suede spray and your shoes are ready to be worn again! 1. Never use a dryer to dry the shoes. This can loosen the glue from the soles. 2. Always remove the shoe lace and insoles to easy the process. 3. Do not dry shoes under harsh sunlight. This can harm the shoe. Try out these shoe cleaning tips and be monsoon ready. For any other laundry related problems, don’t forget to call LaundroKart-one stop solution for all the laundry related errands! Prev Tips to remove period stains effortlessly!